Would you like to be less stressed and more fulfilled at work? Then join the many thousands of therapists and life coaches worldwide who are learning acceptance and commitment therapy (ACT). ACT is not just a proven effective treatment for depression, anxiety, stress, addictions, eating disorders, schizophrenia, borderline personality disorder, and myriad other psychological issues. It's also a revolutionary new way to view the human condition, packed full of exciting new tools, techniques, and strategies for promoting profound behavioral change. A practical and entertaining primer, ideal for ACT newcomers and experienced ACT professionals alike, ACT Made Simple offers clear explanations of the six ACT processes and a set of real-world tips and solutions for rapidly and effectively implementing them in your practice. This book gives you everything you need to start using ACT with your clients for impressive results. Inside this book, you'll find: Scripts, exercises, metaphors, and worksheets to use with your clients A session-by-session guide to implementing ACT Transcripts from therapy sessions Guidance for creating your own therapeutic techniques and exercises Practical tips to overcome 'therapy roadblocks'. In the bestseller "Coming to Our Senses," internationally renowned author and meditation teacher Kabat-Zinn made clearer than ever the connection between mindfulness and spiritual well-being. Now he offers this beautifully illustrated collection of 108 verses excerpted from that acclaimed work. Most of us set out quietly hoping for, and secretly expecting, to live a happy, successful and healthy life. But life doesn't always go to plan. The Big Little Book of Resilience is about developing flexibility, acceptance and self-compassion when those plans go awry. In this beautifully illustrated book, Matthew Johnstone guides the reader to an understanding of how resilience plays a key role in wellbeing. He offers an accessible roadmap to developing and maintaining resilience and how it can help you overcome and learn from difficult life events. Mindfulness and meditation can help children recognise and cope with everyday pressures, releasing bad feelings gently and giving them simple tools to deal with tension and stress throughout their lives. In this practical and inspiring book, parents, teachers and youth workers learn how to lead fun and peaceful meditation sessions with children. The book explains a variety of different approaches, from meditations around daily activities for busy families, to ideas for group 'quietness' sessions in schools. She provides fun, tactile rhymes for toddlers to help them calm down before bedtime, and suggests ways to help teenagers reduce anxiety. She goes on to explain how these methods can help children with ADHD and those on the autistic spectrum, giving a range of case studies. Provides the definitive book for our time on the connection between mindfulness and our physical and spiritual wellbeing. With scientific rigor, poetic deftness, and compelling personal stories Jon Kabat-Zinn examines the mysteries and marvels of our minds and bodies, describing simple, intuitive ways in which we can come to a deeper understanding, through our senses, of our beauty, our genius, and our life path in a complicated, fear-driven, and rapidly changing worldwellbeing. This book uses a model of 'mindfulness play' to help children to achieve well-being, an approach designed by the author which encourages children to build awareness of their inner and outer worlds. Part One covers the theoretical and practical background, setting out how to facilitate play using the mindfulness play model, including consideration of the emotional environment. Part Two includes a wealth of games and activities, from 'Body focus' and 'Fidget flop' to 'Musical drawings' and 'Pass a smile'. The activities are suitable for use with groups and individual children aged 5�12, and can be adapted for children with specific attention and concentration difficulties, such as ADHD, and for older children. This title presents one of the best known and most innovative meditation practices developed by Thich Nhat Hanh. Pebble meditation is a concrete activity that parents and educators can introduce to children in school settings, in their local communities or at home, in a way that is meaningful and inviting. Illustrations. Yes, there actually "is" a way to let everything become your teacher, to let life itself, and everything that unfolds within it, the "full catastrophe" of the human condition in the words of Zorba the Greek, shape your ongoing development and maturation. Millions have followed this path to greater sanity, balance, and well-being, often in the face of huge stress, pain, uncertainty, sorrow, and illness. In his landmark book, Full Catastrophe Living," " Jon Kabat-Zinn shared this innovative approach, known as "mindfulness-based stress reduction (MBSR)," with the world. Now, in this companion volume, 100 pointers from that groundbreaking work have been carefully selected to inspire you to embrace what is deepest and best and most beautiful in yourself. Whether you are trying to learn patience, cope with pain, deal with the enormous stress and challenges of the age we live in, improve your relationships, or free yourself from destructive emotions, thoughts, and behaviors, these deceptively simple meditations will remind you that you have deep inner resources to draw upon, the most important of which is the present moment itself. Regardless of your age or whether you are familiar with the healing power of mindfulness, this insightful, inspirational guide will help you to honor, embrace, learn from, and grow into each moment of your life. Master of Mindfulness presents helpful practices�mindful activities proven to make it easier to pay attention, accept yourself and others, manage your anger, and even get to sleep at night. The book features cool, mixed media illustrations with real kids� drawings and stories about how mindfulness can help in different stressful situations. It even covers some of the brain science behind why mindfulness helps kids to feel better, stay in the present moment, be kind, and make good decisions. The book includes easy and fun practices, like mindful breathing, noticing your feelings, paying attention to your body, and mindful eating, as well as links to engaging audio recordings produced by Mr. Musumeci�s students. And once you become a master of mindfulness, you can help others by sharing your superpower and teaching them how to do it, too�your parents, your teachers, and your friends. When things go wrong, or when you have scary thoughts or strong feelings, you may need help to sort it all out, no matter how old you are. Learning and practising mindfulness can make it easier to deal with the issues you face every day by showing you how to tap into your own inner strength in times of stress. So, why not use mindfulness and start being your own superhero today? Whatever your age, whatever your learning environment, mindfulness can make a positive difference. Mindfulness is increasingly being used in educational environments as a way to help students learn more effectively, develop personally, enhance their physical and emotional health, and deal with study and exam-related demands. In Mindful Learning, the authors provide practical insights and exercises on how to apply mindfulness in the educational setting, resulting in a book that clearly sets out how we can manage stress, improve performance and create better communication and relationships. Whatever your age, whatever your learning environment, mindfulness can make a positive difference. he Mindful Teen offers a unique program based in mindfulness-based stress reduction (MBSR) and mindfulness-based cognitive therapy (MBCT) to help you deal with stress. The simple, practical, and easy-to-remember tips in this book can be used every day to help you handle any difficult situation more effectively-whether it's taking a test at school, having a disagreement with your parents, or a problem you are having with friends. If you're ready to uncover your own inner strength and resilience through mindful awareness and take charge of your life, this book will show you how. This book blends the latest research and best practices to create this straight-forward guide for improving self-awareness, self-regulation skills, mental health, and social connectedness in kids and teens. This expertly crafted resource features a collection of more than 150 proven tools and techniques, presented in a simple, step-by-step skill building format. This workbook combines the latest research and best practices - all in a simple guide to successfully teach mindfulness to your clients. This comprehensive workbook provides the theory behind each tool, a step-by-step process to implement, and expert guidance on processing client results. From a trusted therapist and mindfulness expert, this book blends psychological savvy with powerful tools for attaining a more balanced life. Many people still associate "mindfulness" with exotic images like a hermit on a mountaintop. Of course, the reality is more down-to-earth: You can cultivate mindfulness - and reap its proven benefits - while driving to work, showering, talking to a loved one, or washing the dishes. Dr. Ronald Siegel shows exactly how in this inviting guide. A wealth of quizzes and exercises help readers understand and master time-tested techniques for fostering insight, awareness, and acceptance. Customizing the approach is simple with step-by-step action plans for improving relationships and finding relief from stress, anxiety, insomnia, pain, unhealthy habits, and more. For readers who want to enhance their overall well-being and relationships, as well as those struggling with problems including anxiety, depression, and stress-related pain. Also of interest to mental health professionals. Being a parent is stressful, and when your child has a meltdown, it can be difficult to keep cool, let alone help your child to calm down. 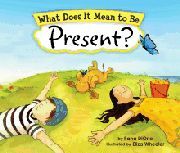 This book shows you and your child how to focus and calm down and live in the present moment. It offers real solutions to help you both deal with stress using everyday mindfulness games, activities, rituals, and habits. Designed for children ages 3-10 years old, this book is fun, engaging, and effective. As any parent knows, children aren't always receptive to what you say. Parental advice is often ignored or perceived as intrusive; and trying to get your kid to calm down and breathe can turn into an unpleasant power struggle in which you feel powerless and frustrated; and your child can feel nagged or bullied. The good news is that it doesn't have to be this way. In this book, you'll learn to teach mindfulness to your child in the most enjoyable and realistic way possible. You'll also learn skills to help yourself stay calm when your child does act up-especially in public. This is a must-read for all parents! Do you ever feel as though you can't manage your emotions? If you're like many other teens you might need a little extra help dealing with family disagreements, peer pressure, dating, bullying, and gossip. This book is a good start as it offers powerful tools to help you manage your emotins and build better relationships. You'll discover how mindfulness can help you face each day with awareness and acceptance, and find effective ways of communicating with others. Finally, you'll learn to work through your emotions so you don't take things out of the people you care about. Simple mindfulness practices to help your child deal with anxiety, improve concentration, and handle difficult emotions. This introduction to mindfulness meditation for children and their parents includes practices that can help children calm down, become more focused, fall asleep more easily, alleviate worry, manage anger, and generally become more patient and aware. The accompanying audio CD has guided meditations voiced by Myla Kabat-Zinn. This is quite a delightful little book. If you�re a teen, you�re probably experiencing stress. And is it any wonder? You�re juggling schoolwork, friendships, and countless other activities. You get endless messages every day�texts from your friends, advice from your family and teachers, images from television, social media, and advertising about who you could and should be. Sometimes you just need a place to unwind and be yourself! A Still Quiet Place for Teens can be that place. It is a place of peace and calm within. In this workbook, mindfulness expert Amy Saltzman offers a comprehensive program to help you manage daily stressors and challenges in your life, whether at home, in school, or with friends. 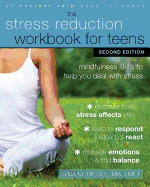 Using proven-effective mindfulness-based stress reduction (MBSR) techniques, this book will help you be fully present in the moment, cultivate kindness and curiosity toward yourself and others, and find constructive ways of dealing with the pressures of being a teen. Between school, friends, and dating, there�s plenty to feel stressed about! This book will help you find a quiet place inside yourself that you can go back to again and again, no matter how overwhelming life gets. First, the bad news: your teenage years are some of the most stressful of your life. Up to 70 percent of teens say they're stressed out, and with pressure about grades at school, parents who just don't seem to get it, and friends who drive you crazy, it's no wonder. Here's the good news! If you learn a few strategies for getting stress under control now, you'll have the skills you need to deal with problems and difficult feelings that life sends your way in high school and beyond. The Stress Reduction Workbook for Teens is a collection of thirty-seven simple workbook activities that will teach you to reduce your worries using a technique called mindfulness. Mindfulness is a way to be aware of your thoughts and feelings in the present moment. You can use mindfulness when you start to feel as though things are spinning out of control, so you can stop worrying about what might happen and focus instead on what's happening now. Ready to get started? Open this workbook and try out the first activity. Soon, you'll be well on your way to developing resilience and a new kind of strength. What do you notice when you take the time to stop, listen, and experience? This pensive and peaceful book encourages children to slow down and become deliberate with their day-to-day actions and thoughts. With gentle rhythms and soothing imagery, kids may be guided toward a quiet self-awareness and mindfulness. And when a day feels stressful or topsy-turvy, kids can use such self-awareness to calm down and feel better. Kids can then enjoy the beauty of the world all around them and fully savor life.